Alamitos Beach is a coastal neighborhood in the southern portion of the city of Long Beach, California. Although it was in unincorporated Los Angeles County when annexed by the City of Long Beach, it had been planned as its own community with a townsite. Alamitos Beach is bounded by Junipero Avenue on the east, Shoreline Drive and Alamitos Boulevard on the west, 4th Street on the north, and Ocean Boulevard on the south. Surrounding neighborhoods include the East Village Arts District to the west, North Alamitos Beach (NABA) and Hellman to the north and Bluff Park to the east, with a wide sandy beach along the Pacific Ocean to the south. 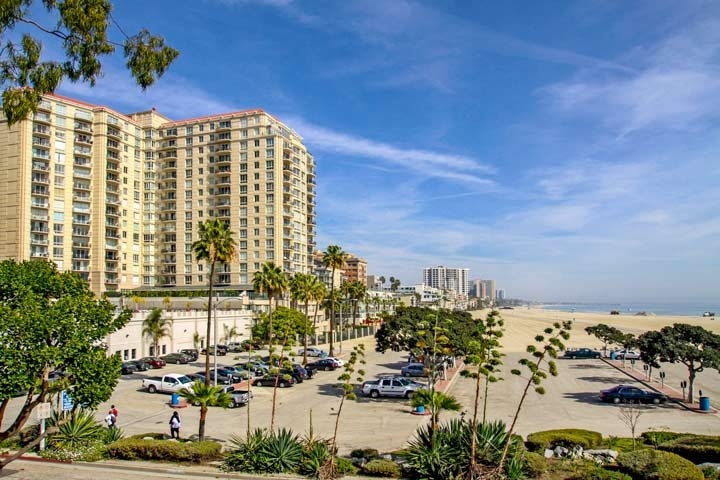 The coastal neighborhood is mainly dense residential, with large condominium buildings along the beach and smaller condominiums, apartment buildings, and single family residences as one moves inland. A public beach is within short walking distance of all residences with some buildings having direct access. The beach includes the Long Beach bicycle path that starts at Shoreline Village and ends in the Belmont Shore neighborhood of Long Beach. Beginning in 2009 bike lanes were added to 1st, 2nd, and 3rd St. as part of the Long Beach’s city wide effort to become more bicycle friendly. Perhaps not so coincidentally more bicycle shops have since opened around the area.